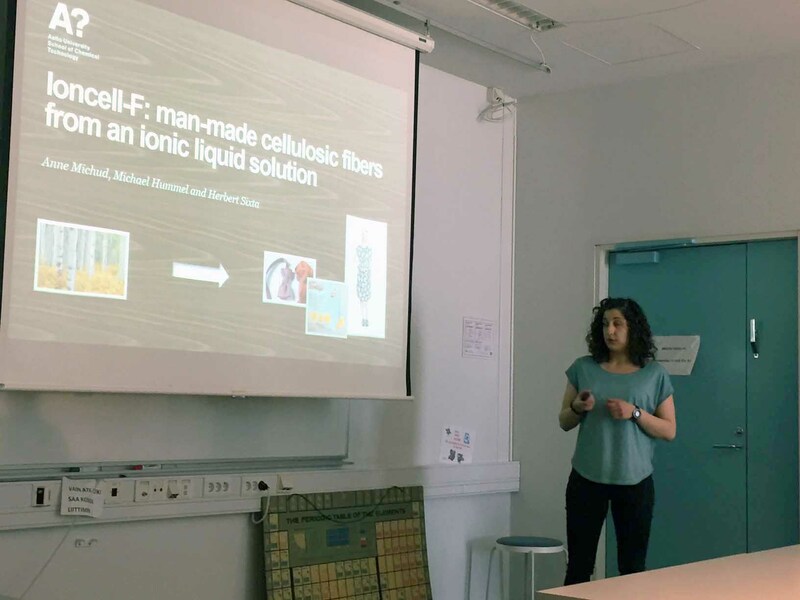 On the 6th, Prof. Sixta gave an exellent pitch, which can be viewed here, on the sustainability of textile production using IONCELL technology. Voting is still open until the end of the pitching on the 7th. Here is the IONCELL website describing our technology and please find further information within these pages. Vote by texting, only, the number 9 to +358 4573960300. You can vote only once. Full voting details can be found here. 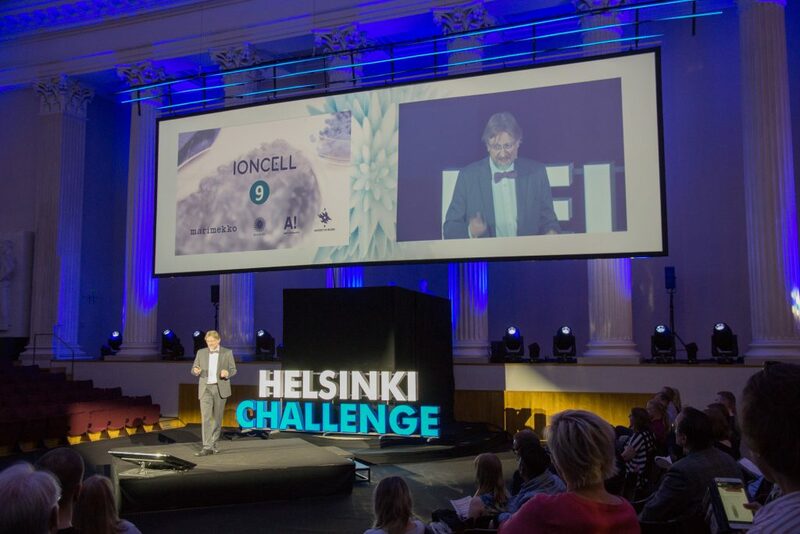 Helsinki Challenge is a science-based idea competition and accelerator programme. 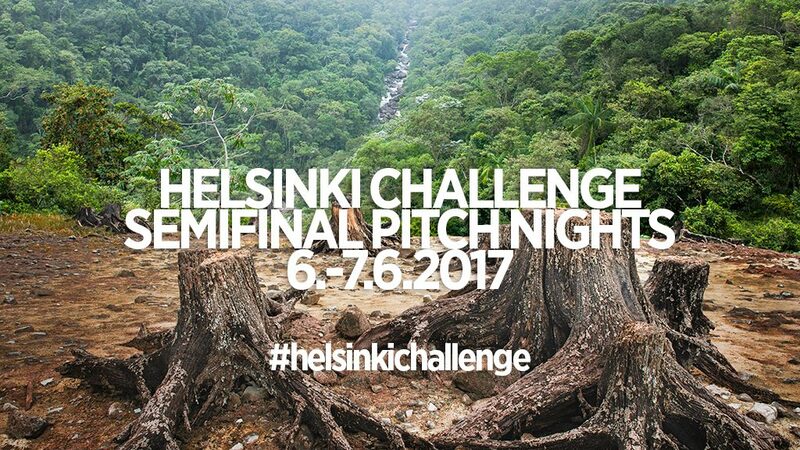 The University of Helsinki organises the competition in collaboration with Aalto University, Hanken School of Economics, University of Eastern Finland, University of Jyväskylä, University of Oulu, University of the Arts Helsinki, University of Turku, University of Vaasa and Åbo Akademi University. 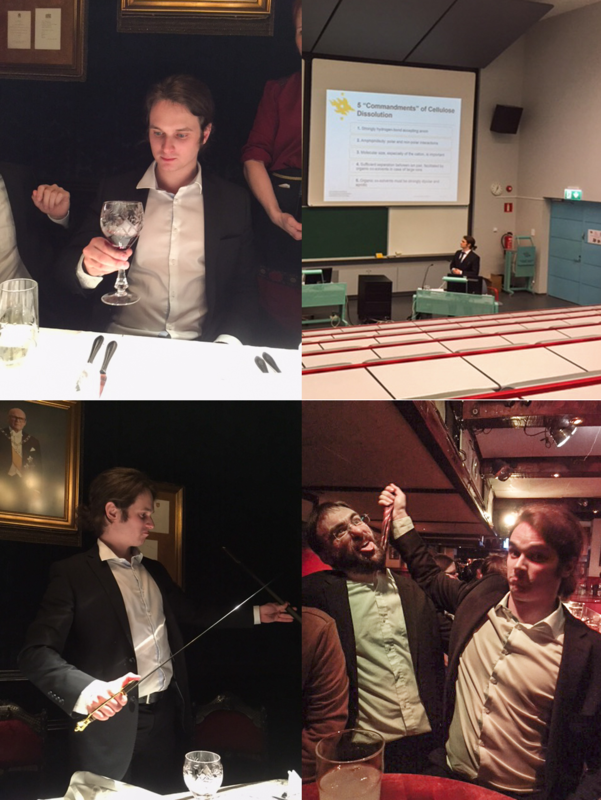 On the 20th of January 2017 Ashley Holding received his PhD. The title of the thesis was ‘Ionic Liquids and Electrolytes for Cellulose Dissolution’. The distinguished opponent was Reader Jason Hallett from Imperial College (Chemical Engineering). 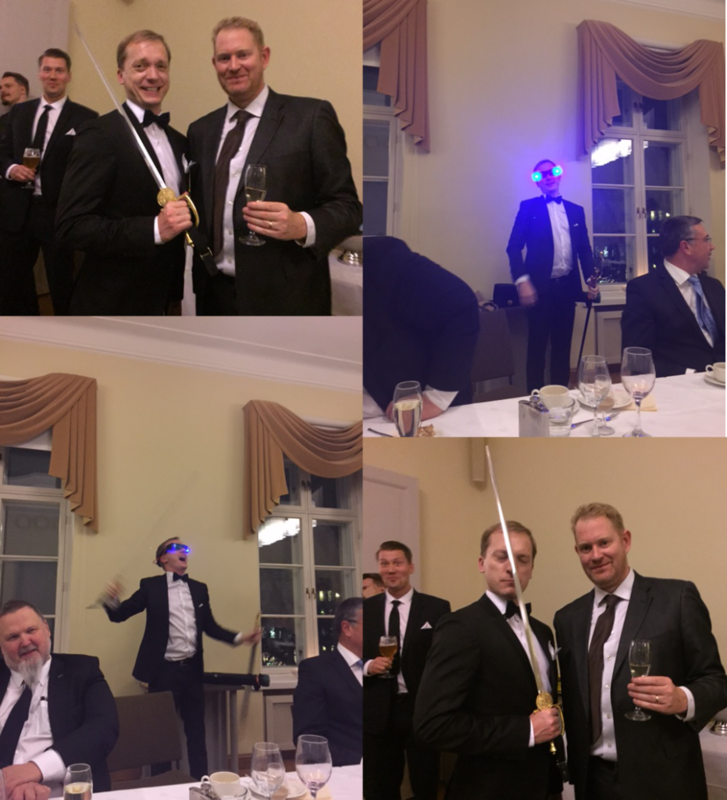 On the 11th of November 2016 Arno Parviainen received his PhD. The title of the thesis was ‘Acid-Base Conjugate Ionic Liquids in Lignocellulose Processing: Synthesis, Properties and Applications’. The opponent was Prof. Ali Harlin from VTT. Recently we had a visit from Cristina Silva Pereira to our laboratory. Post doc Vanessa Correia was also visiting for the purposes of a short term scientific mission (STSM) in the EXIL Cost Action. 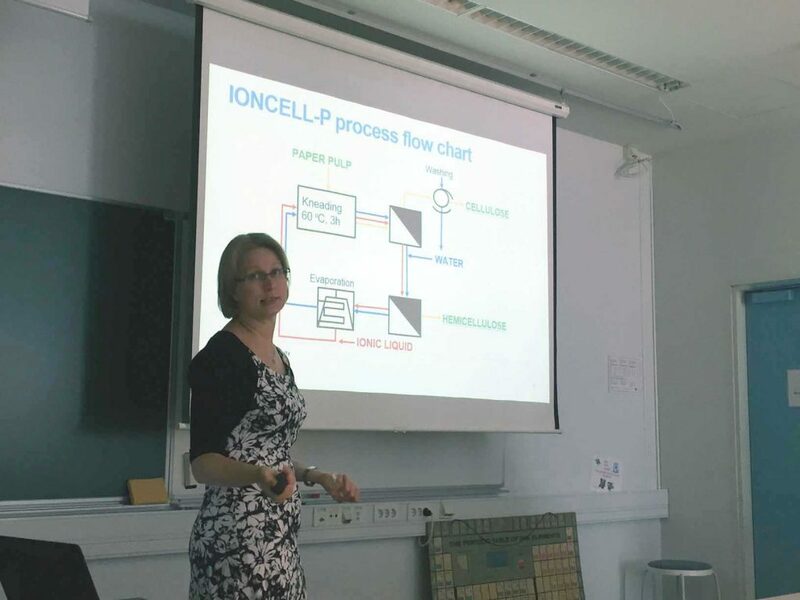 Cristina held a very enthuastic workshop on ‘Scientific Grant Writing’ at the University, which cooinsided with the Finnish Academy application deadline (28th). 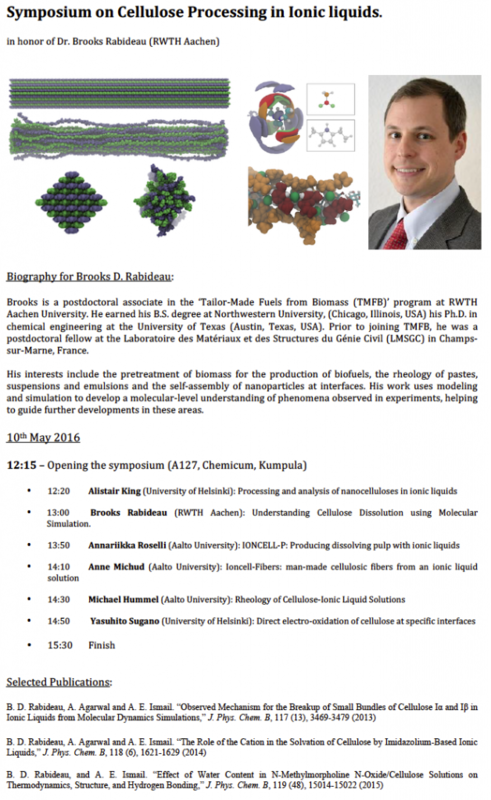 Afterwards, we had an inpromptu symposium on ‘Biomass Processing with Ionic Liquids’. Cristina presented a topic on suberin extraction with ionic liquids. 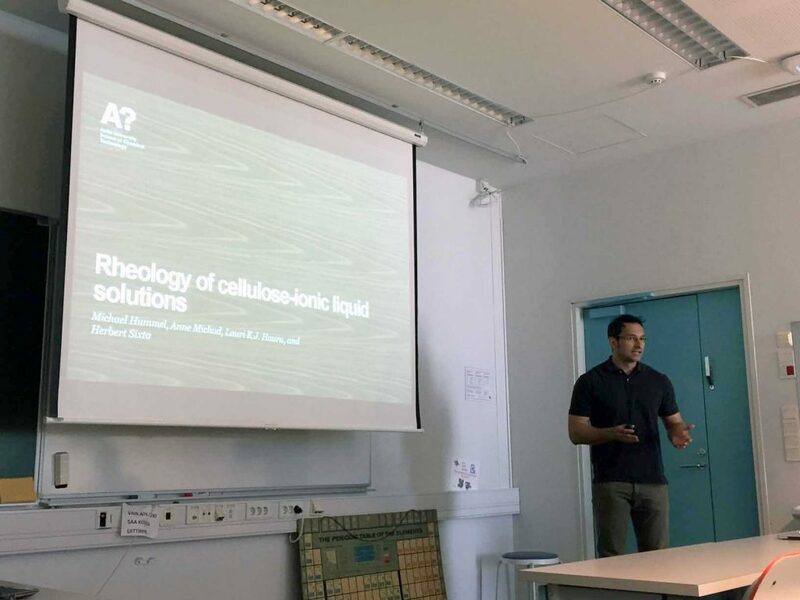 Michael Hummel presented a topic on the IONCELL-F process and I presented on NMR analysis of lignocellulosics. We wish to thank Cristina and Vanessa for the great discussion and begining of a collaboration! Cristina Silva Pereira established her independent research group – The Applied and Environmental Mycology – at ITQB NOVA – in 2008. She is also a Visiting Research Fellow at the University of the West of Scotland. She studied Applied Chemistry – Biotechnology at the Faculdade de Ciências e Tecnologia da Universidade Nova de Lisboa (1996) and started her research career at the Instituto de Biologia Experimental e Tecnológica (iBET). During her PhD, she worked at ITQB, the John Innes Centre and the Institute of Food Research (UK) (1999-2004). In 2007, she was awarded an Young scientist Professor António Xavier Award. 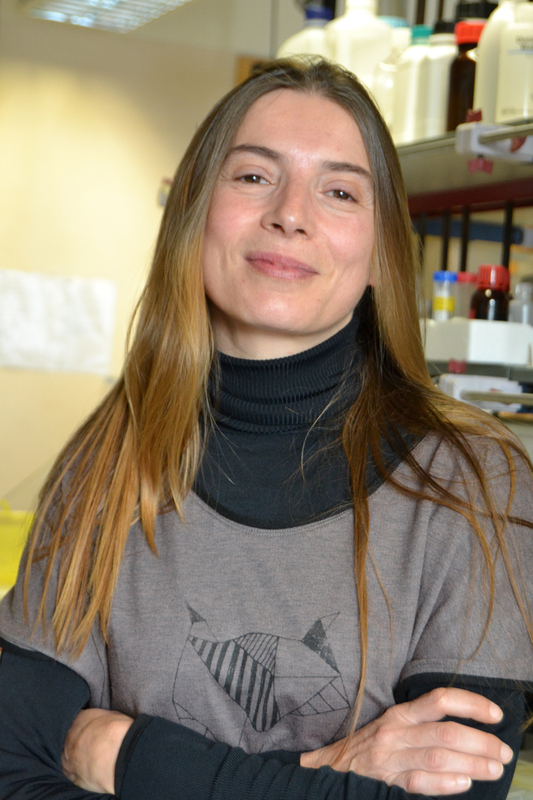 In 2015, Cristina Silva Pereira was awarded European Research Council Consolidator Grant. The funding of almost 2 M€ for a period of five years is being used to mimic the functionality of plant polyesters to develop wound dressing biomaterials that combine antimicrobial and skin regeneration properties. 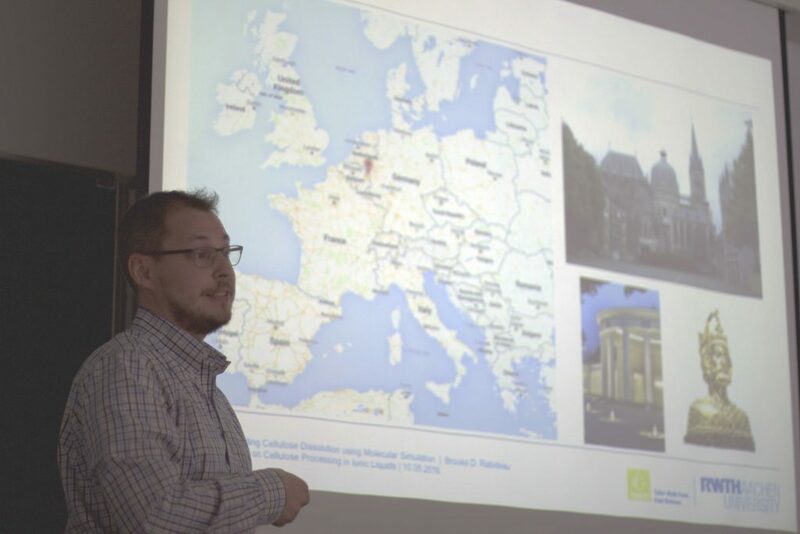 In 2016, For the European Project “Flow Induced Phase Transitions, A new low energy paradigm for polymer processing” the Lab of Applied and Environmental Mycology was awarded 300k€ (project coordinated by Sheffield Univ, UK). So far, she has successfully led projects of more than 2 million, including the EEA international grant and a Nato Sfp project. Her group was initially launched with a strong biotech focus, particularly on the exploitation of fungi and fungal system for biotechnological applications in biodegradation and bioremediation. However, their research has evolved significantly, and, at present, major research interests are focussing central questions in fungal biology and ecology. 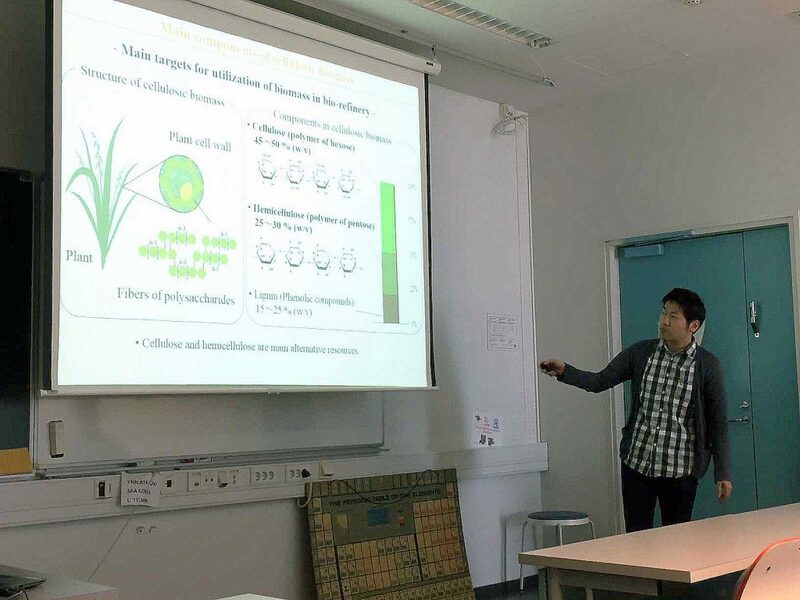 Particularly, they are investigating how chemical effectors (either natural or anthropogenic) transcriptionally modulate fungal development and morphogenesis with emphasis on their ecological resilience and pathogenicity. What makes her group distinctive is that we can tackle studies requiring chemical expertise which is often lacking in fundamental biology research. Such interdisciplinary expertise allowed her to pioneered the merging of fungal biology and ionic liquids chemistry and, more recently, of biomimetic approaches to develop efficient antifungal therapies; a line of research that since its formation has been receiving enthusiastic support from colleagues working in diverse fields, from developmental and cellular biology and ecology to chemistry and biopolymers.